The first few weeks you spend with a puppy are a crucial period for both you and your new dog. The relationship you establish during this time can set the tone for the rest of your life together. 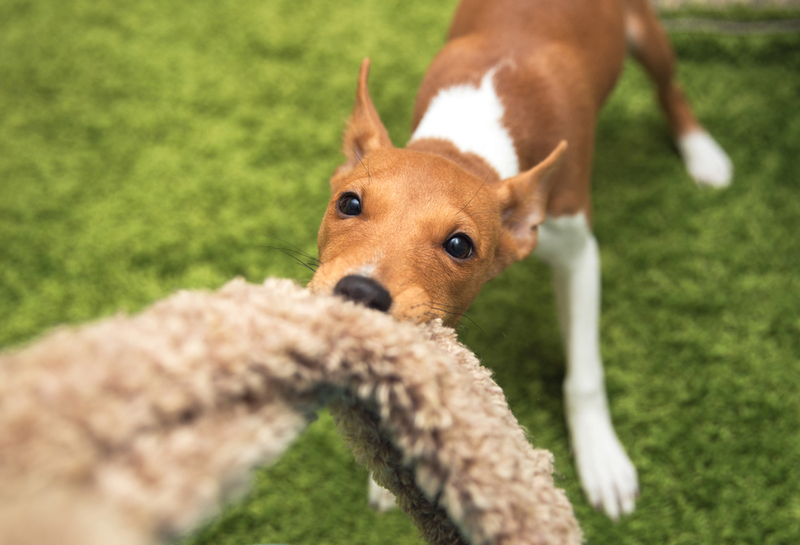 Puppies grow up very fast in the first months after they enter a new home, so getting their early training absolutely right will help them become calm, well-behaved adult dogs. Here’s a few of our top puppy training tips. For quite a few years, philosophy in puppy training was based on the “dominance” theory. The notion behind this theory was that in the wild, wolves respect an “alpha” and are submissive to it. It assumes that when your dog or puppy misbehaves, it’s trying to be the dominant animal. So the key to dog obedience was asserting the owner’s dominance over the pet. However, more recent study by trainers like Sophia Yin and Ian Dunbar has largely discredited this theory. Sophia Yin suggests that animals like dogs only behave in certain ways if that behaviour has been rewarded. So the key to stopping bad behaviour isn’t “asserting dominance”, but rather cutting out rewards for behaviours you don’t like in your puppy, and making sure you do reward the behaviours you want to see more of. Verbal or physical punishment will only make your puppy think they ought to be scared of people, which could make them much more aggressive as they grow up. So, when training your puppy, ensure you reward behaviour you want to encourage, and ignore misbehaviour. Remember that any kind of attention is a reward! Even saying ‘no’. Set your puppy up for success from the moment you and your new puppy get home. Especially for the first few days your puppy will be feeling quite uncertain, so establishing a good, consistent routine is crucial from the start. Make sure you always wake up, feed, and put your puppy to bed at the same time every day. 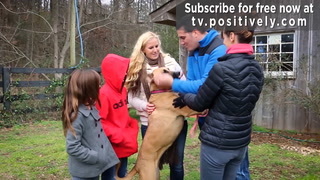 And when you’re doing training with your puppy it’s very important that the whole family follow the same rules. Puppies learn based on repetition, so if the same thing happens over and over again while you’re teaching them something, they will catch on quickly. But if one member of the family doesn’t follow along with the training routine, or gives a dog treats when it’s not appropriate, your puppy will end up confused and all your hard work can be quickly undone. So, before puppy even arrives, everyone needs to know exactly what the rules and boundaries are and stick to them. These will differ from house to house – so decide as a family what you’re comfortable with. This is especially important with smaller children who will want the puppy to be their best friend – and willing to use treats to make it happen! Regular training sessions where you supervise both puppy and child will make sure everyone is doing the same training. I recommend that you pop a piece of paper with the routine on the fridge so all the family can see it as a reminder and can support each other. A final thing to remember is that your puppy needs to know their own name. Make sure you say it to them frequently to get their attention, so they won’t confuse it with another cue. This will be one of the first things you’ll want to sort after bringing your puppy home. The less time you have to spend cleaning up damp smelly newspapers in the morning, the better! The easiest way to toilet train your dog is to make sure you’re with them in the garden while they’re doing their business until they get the hand of it. Some puppies will learn quicker than others. While they’re urinating or defecating, make a point of saying “wee wees” or whatever word you’d like to use to remind your dog to toilet, and praise them when they are finished. The Kennel Club advise that at first you’ll need to work around what your puppy needs to do. But luckily your pup has quite predictable times when it’ll need to relieve itself. Puppies normally need to go to the toilet as soon as they’ve woken up, which means you’ll need to be up with them to put them outside. They will usually want to urinate about a quarter of an hour after eating, and do a poo another fifteen minutes after that. Young dogs have small bladders and not much control over them, so they will need to be put outside every 20 minutes to start with. This period of time can be increased slowly by 5 minutes each day as you help them learn how to hold their bladder for a little longer. Don’t assume they will tell you when they need to go – take them out anyway. Set a timer on your phone. You will be surprised how quickly they can progress. If any accidents do happen and your puppy makes a mess indoors, it’s important not to punish them, or they may end up being scared to relieve themselves in front of you, whether they’re outside or not. Just clear it up and make sure you use a cleaner specifically for pet stain and smell removal as it can remain long after you think it is gone and the puppy will go to the same spot. From a very early stage with your dog you need to make sure get used to having other people - and other dogs – around. This means introducing them to lots of different people and animals and rewarding them for interacting positively. It’s especially important to make sure your puppy meets as many different kinds of person and dog as possible – children and adults of both sexes, wearing hats, holding umbrella, cycling, jogging as well as dogs of all different sizes and breeds. See if your local vet or positive puppy trainer organise small puppy parties as they are a great opportunity for your puppy to meet other dogs and other people in a controlled manner that won't overwhelm your pup. 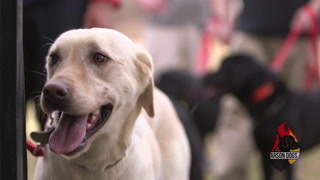 The Kennel Club also recommends that you take your puppy to the vet in the first couple of days after you bring them home with you – not for any vaccinations which they may need later but to make sure their first experience at the vet is a positive one, and they can get used to being handled by a vet. And for several days after you bring your puppy home, make sure you give them plenty of handling so they’re very used to being touched. The crucial thing with any new experience in this period is that they all have to be positive. that means keeping a stash of treats handy at all times! Use these or a favourite toy to distract your puppy if any of their new experiences seem to worry or stress them. Puppies’ brains grow in size hugely over the first few months of their life. Teaching them basic cues is a great way for you to bond with your dog, and it’s a very good time for them to learn such tricks. When training a new puppy, some cues you can teach are those like sitting, staying and lying down. Luckily, puppies will pick this up very quickly if there are treats on offer! As with everything else, consistency and repetition are important to make sure they get the cues right. A really important early cue to learn is “Leave it!” – to encourage puppy to bring his attention back to you, away from something you don’t want them to be sniffing at. Remember that your puppy won’t get everything right straight away. They are coming into a big new world with a lot of unfamiliar experiences, so it won’t be a flawless transition from excitable puppy to mature dog. The first few weeks you spend with your dog lay the foundations for the rest of your life together, so it’s very important to get this time right. With consistency, time and dedication any puppy can pick up all the tips we’ve given you above, and even more. If the whole family pulls together, there’s no reason why puppy training should be the nightmare it’s often made out to be. 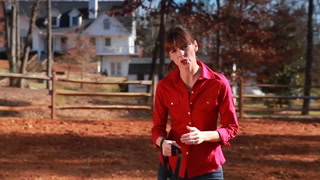 For more hints and tips on dog training, have a look at our Basic Cue Training tips on our website at www.rufflesnuffle.com. Sarah White is an animal behaviourist and the creator of the award winning Ruffle Snuffle mat – a toy that doubles as a slow feeder and keeps pets stimulated and engaged.